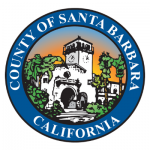 Get a Santa Barbara County Traffic Ticket? You Can Beat It! Did You Get a Ticket in Santa Barbara County, California? You can fight Santa Barbara traffic tickets by getting them dismissed much easier than you may think. In Santa Barbara, California, drivers are allowed to contest a traffic ticket using a Trial by Written Declaration. This is best way to fight a traffic ticket without going to an Santa Barbara courthouse or hiring an expensive Santa Barbara traffic ticket lawyer. We have found this to be the best way to contest a California traffic ticket, period. This option is available to every driver who receives a traffic ticket in Santa Barbara, California. In fact, if you turn over your traffic ticket you will see that a Trial by Written Declaration is listed right on the back of your ticket as one way to fight it. This process has been around since 1978 to avoid having to pay traffic ticket fines. TicketBust has been helping California drivers prepare Trial by Written Declaration’s for over 15 years. In fact, tens of thousands of vehicle tickets in California have been contested using our system. We are the original traffic ticket fighter and the TicketBust system has been developed specifically to prepare all your documents properly based on how you answer a few questions. This way you can fight your ticket, knowing you have maximized your chances of having the court dismiss your Santa Barbara County traffic ticket. When you contest a ticket using a Trial by Written Declaration not only don’t you need to go to court, but you don’t even need to take traffic school if the ticket is dismissed. If the ticket is dismissed, no point will appear on your driving record and the bail will be refunded to you in full. If the ticket is not dismissed and you are eligible for traffic school, then you should still be eligible after a Trial by Written Declaration. TicketBust service will prepare your full defense package for you, which includes your Trial by Written Declaration and all the defense documents required by Santa Barbara traffic court. Fill out the yellow form to fight your Santa Barbara traffic ticket now! Did you know that you aren’t allowed to pass the white limit line when you are stopped at an intersection? From our experience, this can be a common ticket issued in the county of Santa Barbara, so be on the lookout and stay behind that solid white line. If you find yourself having received a traffic ticket in Santa Barbara, give us a call or fill out our form to see how we can help! The Santa Barbara Channel received its name from Spanish explorer Sebastian Vizcaino in 1602 on the day of the fest of Santa Barbara (December 4th). It took another 165 years for permanent settlements to be established in the area. In 1850, Santa Barbara County became one of the 27 original counties of California. In 1873, a portion of the county was given to create Ventura County which now borders Santa Barbara to the east. Today’s boundary lines for Santa Barbara County spans 3,789 square miles and includes four of the Channel Islands; San Miguel Island, Santa Cruz Island, Santa Rosa Island, and Santa Barbara Island. With an overall population of 448,000, the most densely populated area is on the southern coastal plain, or the area south of the Santa Ynez Mountains. White-collar jobs with an emphasis in aerospace and other high-tech industries contribute to the area’s economy, as does the county’s top crop of strawberries, closely followed by wine grapes. Pinot Noir and Chardonnay fans probably are familiar with some of Santa Barbara County’s 115 wineries as those varietals are some of the most popularly grown in the county due to the warmer climate. Santa Barbara residents and visitors also enjoy hiking, water sports, beautiful beaches, and gorgeous views of the Santa Ynez Valley.